The Claudia McGloin Clinic was featured in July's 2013 edition of RSVP Magazine. 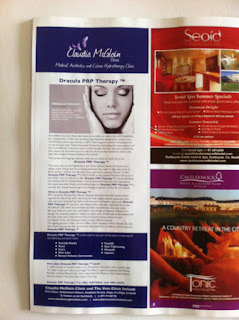 The clinic had an advert for the clinic listing the treatments and procedures available and an editorial on the hottest newest treatment at the clinic - Dracula PRP Therapy TM. 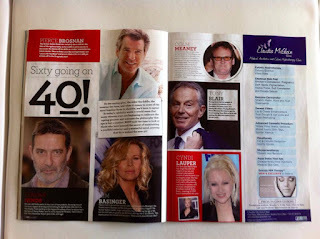 The Claudia McGloin Clinic advert alongside an article on celebs who are 60 but going on 40! 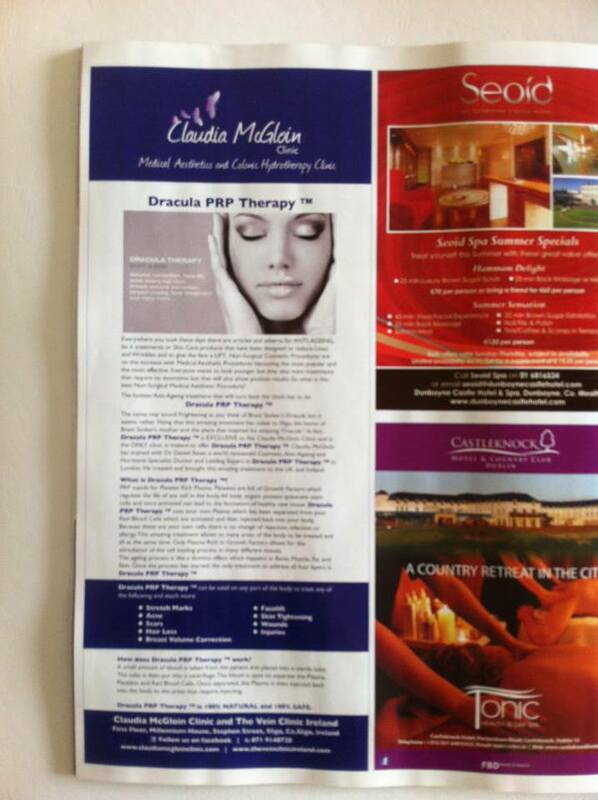 The Claudia McGloin Clinic editorial on Dracula PRP Therapy TM. Claudia McGloin was featured in The Sligo Champion on May 28th 2013 in a feature on Women in Business. 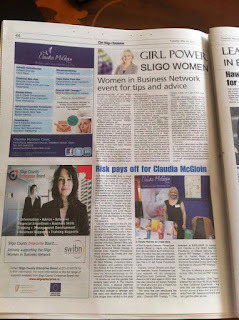 The Claudia McGloin Clinic was established in December 2011 and the gamble of returning back to Ireland in a recession has certainly paid off as the Claudia McGloin Clinic is going from strength to strength. 2013 is a truly a good year for the clinic as there has been so much going on and there is lots of exciting things coming up and we are only in the first half of the year! 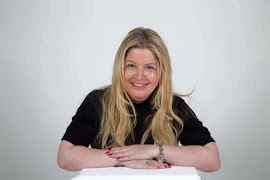 The Claudia McGloin Clinic was one of a handful of clinics that won a prestigious 2013 Customer Service Award from WhatClinic.Com. We are absolutely delighted with this award and would like to thank all our clients and future clients who have found us and contacted us via WhatClinic.Com. It is a great achievement for us.